At Animal Health Center, an expert staff of veterinarian doctors and a skilled team of technicians are here to do just that. Under the directorship of our highly skilled veterinary doctors, your pet is always in good hands. We're ready when your pet needs us. Dr. Angela Peterson grew up in Gautier, MS in 1985, she enrolled at Mississippi State University and graduated in 1992 from MSU College of Veterinary Medicine. Upon graduations, Dr. Peterson joined us at the Animal Health Center and was here until the spring of 2014. From 2014 until 2016, she worked at Bay Spring Veterinary Hospital for Dr. Danielle Garrison. In July 2016, Dr. Peterson made her return to the Animal Health Center as our managing veterinarian. Dr. Peterson’s area of interest are geriatric medicine and dentistry, including treatment and management of periodontal disease. She also recently became certified in abdominal ultrasonography. Dr. Peterson has been married to Joel Shows for 24 years. Together they have 7 fur children: 2 cats (Ms. Brooks and Rory) and 5 dogs (Jack, Sue, Watkins, Daisy, and Sandy). In her spare time, she enjoys golf, running, fitness training, and spending time with friends. 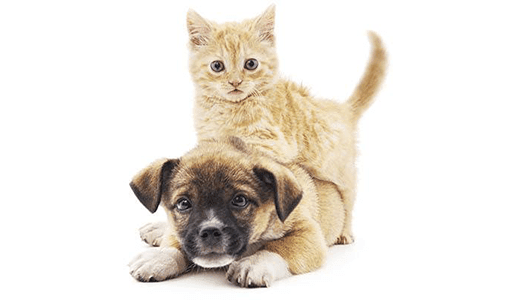 Dr. Priestas earned her Bachelor of Science degree in Biology from Florida State University in 2007 and her Doctorate of Veterinary Medicine from Iowa State University in 2012. She is also certified to do international health certificate for travel. She began working at Animal Health Center in 2013 after relocating from Florida. Her interests include Surgery, Dermatology, Pathology, and Integrative Medicine. Dr. Priestas resides with her husband, Anthony, and their new baby girl, Melody Pearl. They also share their home with Ramsay the cat and Earl the corn snake. In her spare time, Dr. Priestas loves taking trips to the beach and spending time outdoors, live music, arts & crafts, and cheering for Tampa Bay sports. Dr. Priestas and her husband enjoy exploring new places and meeting new friends in and around Mississippi!